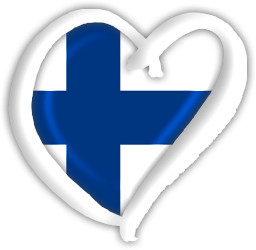 Join us in Helsinki on September 21–23! Once again, Wake-Up Call is going to Finland to participate in Globsol Nordic Youth Conference and we want you to tag along! Globsol is a fantastic playground for bright and engaged young people from Sweden and Finland to discuss important global issues and how we can create real and positive change towards a more sustainable, just and peaceful world. The weekend will be taking place in Helsinki on September 21–23 where four parallel workshops will be held. The topics are 1) “Sustainable Consumption”, 2) “Growing Economic and Social Inequalities”, 3) “Unfair Distribution of Resources in the World,” 4) “Sustainable Solutions”. They are all designed to give the participants a better understanding of the respective issues while inspiring them to take positive action. Wake-Up Call is facilitating the workshop on sustainable solution and we would love to invite you to join our workshops. Log into www.globsol.info and sign up!